My ebooks provide ESL and EFL teachers with high quality resources that make learning fun and productive. Great for conversation and writing classes, the lesson ideas, printable worksheets and activities are suitable for high beginner and up students. Each of the 22 lessons in this 95-page ebook comes with a clear learning objective. Taken together, the lessons focus on improving four essential skills: fluency; proficiency, style and inquiry-based reasoning. The final lesson in the ebook brings all of the skills together into a simulated business email role play. The objective is to respond to a customer’s request for information with facts from a data sheet and a clear recommendation. Everything the teacher needs to run the lesson is included. Click HERE to open a 20-page pdf file. Buy with PayPal or a credit card. Only $9.99 USD. Instant email delivery of Teach Essential Writing Skills (one pdf file) after payment approved. Try it risk free for 7 days. If you don’t like it, you can get a full refund. Promise. With 240 pages of pair work ideas, logic puzzles, vocabulary games, writing exercises, sponge activities and trivia, there’s a language focused student activity for almost any teaching setting. Buy with PayPal or a credit card. Only $12.99 USD. 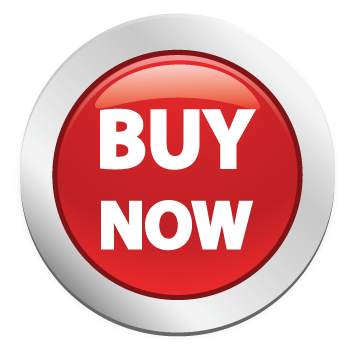 Instant email delivery of The Monster Pack (one pdf file) after payment approved. 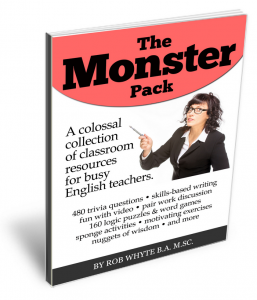 Get a Free Monster Pack Sample: Click HERE and for a 15-page file. 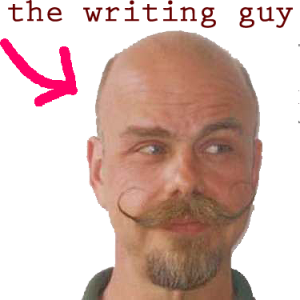 Originally from Canada, Rob Whyte is a long-time writer and EFL teacher based in South Korea. He teaches at a university where his course load typically includes English conversation and composition classes plus an eclectic mix of content courses like teaching methodology, cross cultural communication and political science. With a decade of teacher trainer experience, he has helped hundreds of public school teachers improve their language skills by developing and leading composition, critical thinking, and extensive reading training modules. In his free time, Rob runs a small ebook publishing house that develops classroom resources for EFL teachers and occasionally writes about Korean travel and food for Lonely Planet.